Water and fade-resistant smooth gel ink. 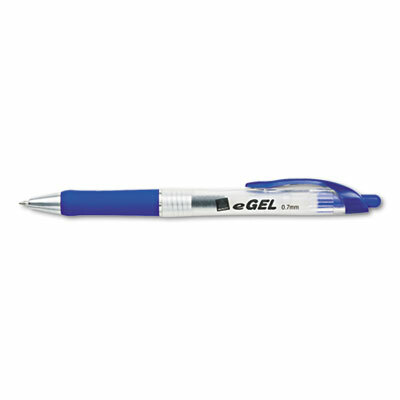 Smooth gel ink is water and fade-resistant to ensure the safety of your documents. Unique, contoured grip matches ink color and adds comfort. Retractable to protect pockets and purses.